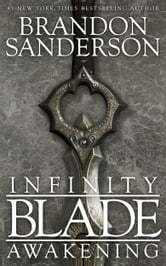 Based on the bestselling video game from ChAIR Entertainment and Epic Games, this all-new adventure from acclaimed fantasy author Brandon Sanderson digs deeper into the fantastical world of Infinity Blade, a world of mystery and intrigue where magic and technology are indistinguishable, and even life and death are not what they seem. Brandon Sanderson has published six solo novels with Tor Books—Elantris, the Mistborn trilogy, Warbreaker, and The Way of Kings—as well as four books in the middle-grade Alcatraz Versus the Evil Librarians series from Scholastic. He was chosen to complete Robert Jordan’s long-running Wheel of Time series, to which he added 2009's The Gathering Storm and 2010's Towers of Midnight, as well as the final book in the series, A Memory of Light, scheduled for release in 2012. His newest Mistborn novel, The Alloy of Law, will be released in November 2011. Currently living in Utah with his wife and children, Brandon teaches creative writing at Brigham Young University. Love Brandon Sanderson's books. So easy to read. Very good story cant wait to read the next one. Always find this sort of fusion, a cross between sci-fi and fantasy refreshing and this one better than most. A good read, pity it was so short i could have taken a lot more. I bought awakening and rrdemption at the same time and wasnt sure which one was first. I have played and beaten all the games in the InfinityBlade series. This book was OK. It was also good because it Game more of a back story to Sirs or Ausar The Vile. But the book only had three fight scenes and the rest was talking. 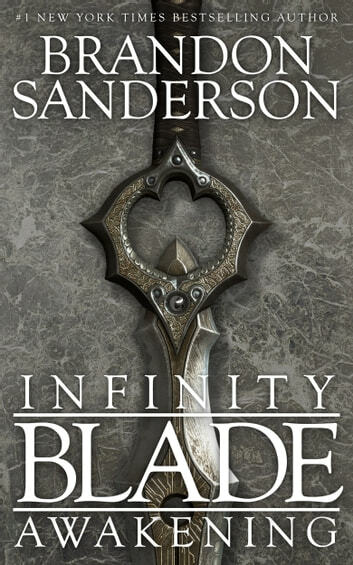 I thought at the end of the book it was took from InfinityBlade2 at the beginning. This book was OK, but not one of my favorites.